Caswell Massey Bar Soap - PC Fallon Co.
Caswell-Massey knows what makes a great bar soap: pure ingredients, moisturizing lather, perfect fragrance, and longevity. Choose from dozens of fragrant, long-lasting bar soaps, all triple-milled and naturally moisturizing, in pure fragrances such as Almond & Aloe, Goats Milk & Honey, Lavender, Gardenia, and Lilac. Other Caswell-Massey soaps are created from centuries-old secret perfume formulas to produce the ultimate sensory experience: Elixir of Love No. 1, Newport, Jockey Club, Sandalwood, and Greenbriar. Caswell-Massey has a rich heritage of bar soap-making in America, and has attracted many famous fans throughout history, such as George Washington, the explorers Lewis and Clark, and Abraham Lincoln, just to name a few. WE have a large selection In Stock. 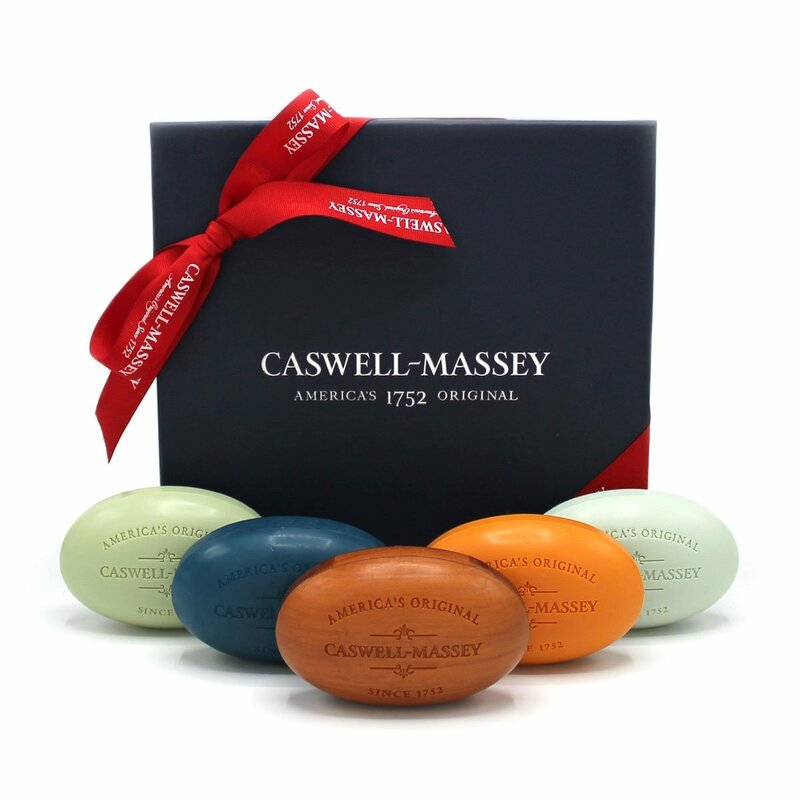 Try Caswell Massey bar soaps today. You will love them!